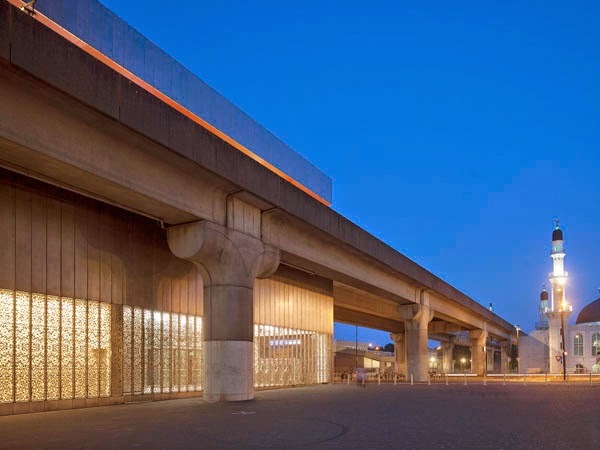 Architecture studio Maccreanor Lavington has recently completed the refurbishment of a metro station, originally built in 1970, in Bijlmermeer, Amsterdam. 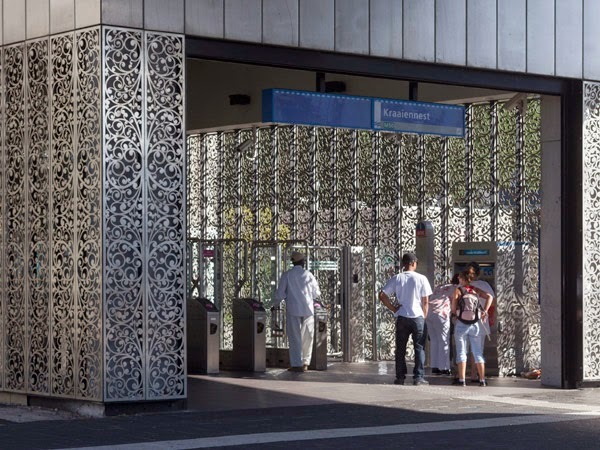 The stainless steel façade, a material chosen for its durability and low maintenance, is decorated with an intricate floral design. 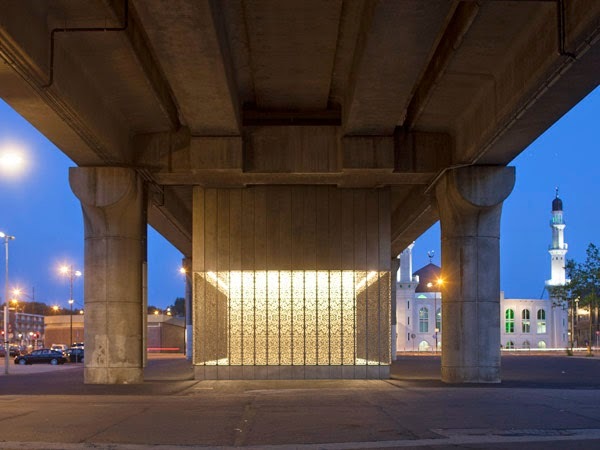 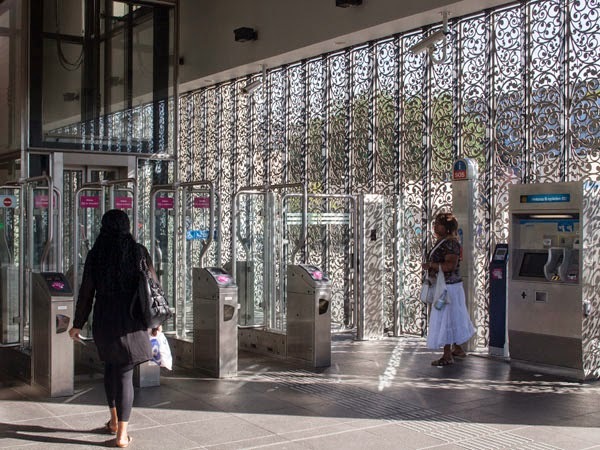 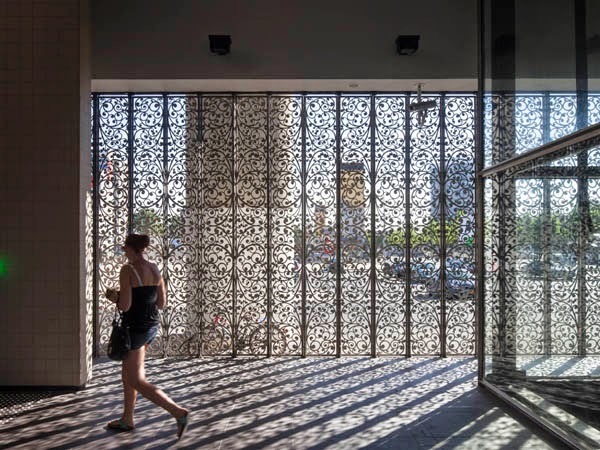 The laser cut motifs allow natural light to flow through the entrance and create lace-like projections on the floor and walls, turning a regular metro station used by over 100,000 residents every day into an inspiring, stimulating place. 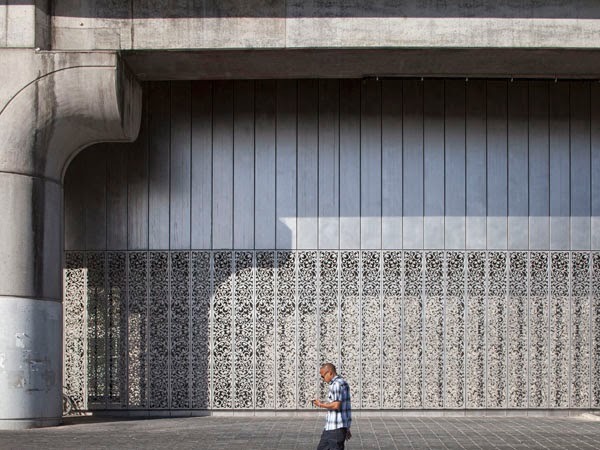 Homebuildlife subscribers can read more on the growing trend for embellishing everyday objects and environments in our autumn/winter 2015/16 macro trend Everyday Utopia here.